As promised in my last post I wanted to start sharing with you some items that have hit our local supermarket shelves. Our family endeavors to support local and small business where possible, yet we are also happy to see organic and more environmentally friendly, natural, hormone or chemical free options being made available to the public broad-spectrum. We are using it for soup, stew, stir-fry, cereal and salads. 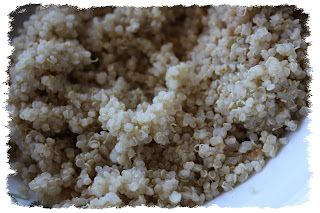 Link to a great Red Quinoa stirfry recipe here and a quick + easy Quinoa breakfast idea here as well as our awesome Quinoa salad recipe. 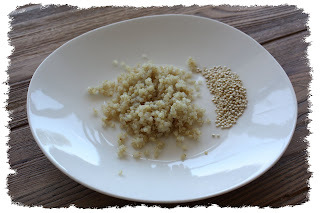 Please share your own inspirations for cooking and eating this awesome grain available now in your standard supermarket. Town & Quality Country Meats Waurn Ponds are stocking King Island Beef Roasts at around $13/kilo; they will also cube the meat and trim the fat for you, giving you both back afterward. Service is with a smile, and they also stock Otway Pork including Otway Pork bacon. With organic beef at the $36/kilo mark it is not accessible for some, the King Island beef is a most reasonably priced alternative that is free from the commonly used hormone growth promotants that are used in most other Australia beef; these are the hormones that are banned in Europe and prevent Australian beef from being exported there. King Island beef is also free from antibiotics and the cattle graze on natural pastures that are GM free.